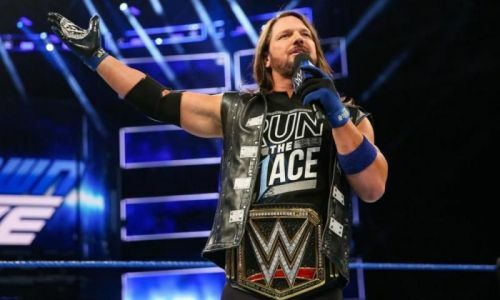 A week before Survivor Series, WWE decided that it was the time that AJ relinquished his championship. Even after a long title reign of 371 days, the title change came as a surprise as everybody believed that Styles will overtake CM Punk for the longest WWE title reign. But, for some reason, Vince and Co. got cold feet and decided to pull the plug on AJ's title reign. It is somehow ironic that Styles was a victim of the same reason of title change. Last year, Jinder Mahal was the champion heading into Survivor Series. But, as a Jinder vs Lesnar match was not exactly a crowd draw, WWE put the belt on AJ. This year, although a rematch would have been good, WWE decided they wanted something fresh. So, a week from Survivor Series, Bryan pinned Styles after turning heel, thus ending Styles' reign as champ. Also, as we have a heel champ, things have definitely freshened up. With his reign finally over, I tried to analyze his title reign. I found that his title reign, especially in the second half, was definitely subpar. He did have the potential, but for some reason, Styles as a face champ didn't have the 'It' he had as a heel champ. Starting from Wrestlemania, his rivalries took far too long, repeated the same formula, and the matches under-performed. Much like Mahal, some blame can be attributed to AJ Styles for not being a crowd-drawing champion. Even WWE realized this as they consistently gave the WWE Championship less preference then even mixed-tag matches. Today I will analyze four reasons why Styles was a bad champion. I know I will get a lot of hate from the internet fans, but if they look back and retrospect his title reign, they will know that it was not all good.